Margie, who has spent most of her life down on her luck, has never had it this bad. A middle-aged single mother, she is unemployed, facing conviction, and cut off from opportunity in her South Boston working-class neighborhood. When Margie learns that a high school flame is now a successful doctor, she swallows her pride and seeks his help, sparking questions about class, commitment, and what it means to be a "good person." Winner of the New York Drama Critics' Best Play Award and nominated for a Tony Award for Best Play, Good People is an affectionate look at the haves and have-nots through the eyes of characters who won't be ignored. "Painfully funny and gut wrenchingly real." 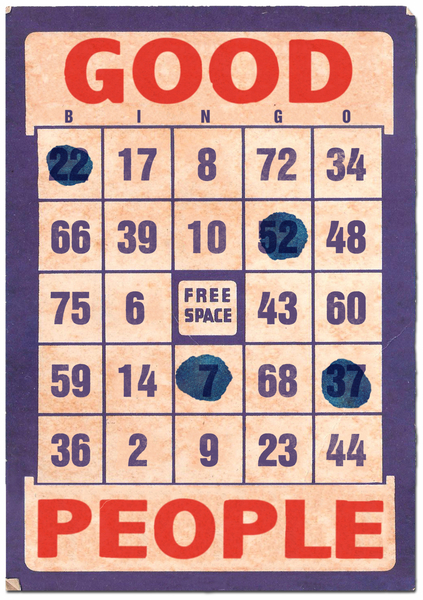 Click here to download the press release for Good People. DAVID LINDSAY-ABAIRE (Playwright) is a Pulitzer Prize winning playwright, screenwriter, lyricist and librettist. His play Good People was awarded the New York Drama Critics' Circle Award for Best Play, The Horton Foote Prize, The Edgerton Foundation New American Play Award, and two Tony nominations. His play Rabbit Hole received the Pulitzer Prize for Drama, five Tony nominations, and the Spirit of America Award. David also wrote the book and lyrics for Shrek the Musical (Jeanine Tesori, composer), which was nominated for eight Tonys, four Oliviers, a Grammy, and earned David the Ed Kleban Award as America’s most promising musical theatre lyricist. Lindsay-Abaire's other plays include Ripcord, Fuddy Meers, Kimberly Akimbo, Wonder of the World and A Devil Inside, among others. In addition to his work in theatre, his screen credits include his film adaptation of Rabbit Hole, Rise of the Guardians and The Family Fang. He is also, along with Marsha Norman, co-chair of the Playwriting Program at the Juilliard School.